As these were the last tiles availble, I couldn't pull off an eleventh hour comeback for a win. Just a game? I think not. One of the benefits college students enjoy is getting away from their parents. This isn't working out so well for my daughter for two reasons. 1. Every time she looks in the mirror, she sees me. Can you say clone? This past weekend was parents' weekend at my daughters college. It was great too see her. While I was there, I noticed that all of the hand soap dispensers had my name on them. Go figure. I know that some are betting against me finishing fifty quilts by the end of the year. Truth be told, I have finished over fifty quilts already, but they aren't fifty quilts that I can share on this blog. I'm counting personal sewing only, not commissioned work or samples for my next book. Even with those limitations, I still hope to finish 50 quilts. Some baby somewhere will enjoy this. 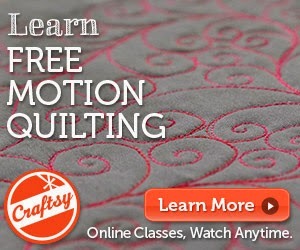 Run to the store to purchase Quilting for Christmas. I worked on one of the quilts!